Today officially marks my very first Christmas Tour for 2017. 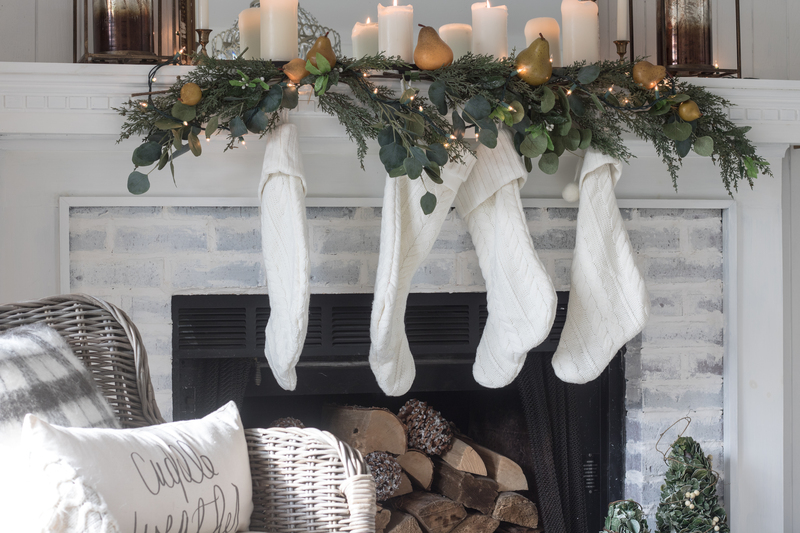 I’ve teamed up with Kirklands and an amazing group of bloggers this week, welcoming you in our homes and offering an awesome $500 Kirklands Gift Card! 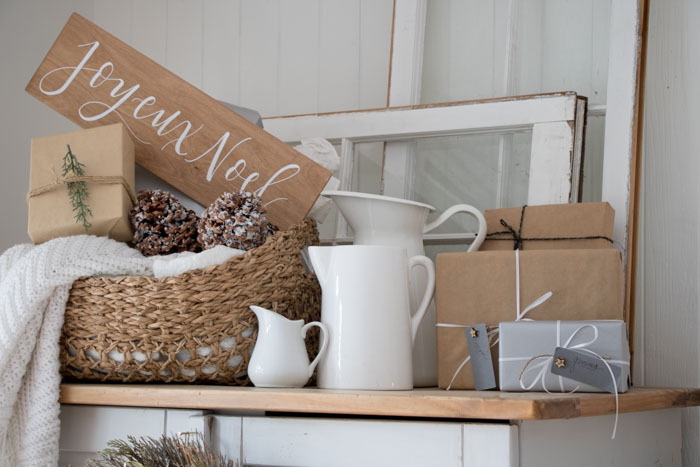 I gathered a selection of their Christmas products to add beautiful touches to our Christmas living room for the season. It is probably one of the rooms I am most excited about decorating for since making over this space a few months ago. This is a collaborative post with kirklands, but all opinions are 100% my own. This year for Christmas it is no surprise I was going for neutrals! I added some red two years ago to my Christmas tour, but I just love to stick with my neutrals since it feels most like my home. For the family room I went with some vintage brass accents green and black as well. The entire space started with those gorgeous lanterns. 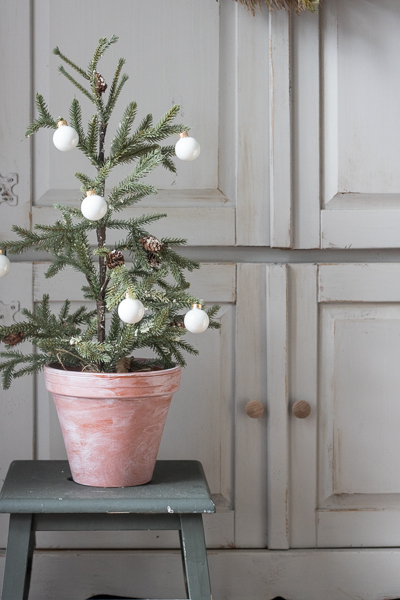 I just love how they worked beautifully for Christmas, but could also be used again throughout the year. I added some faux greenery to the front with that touch of black ribbon. 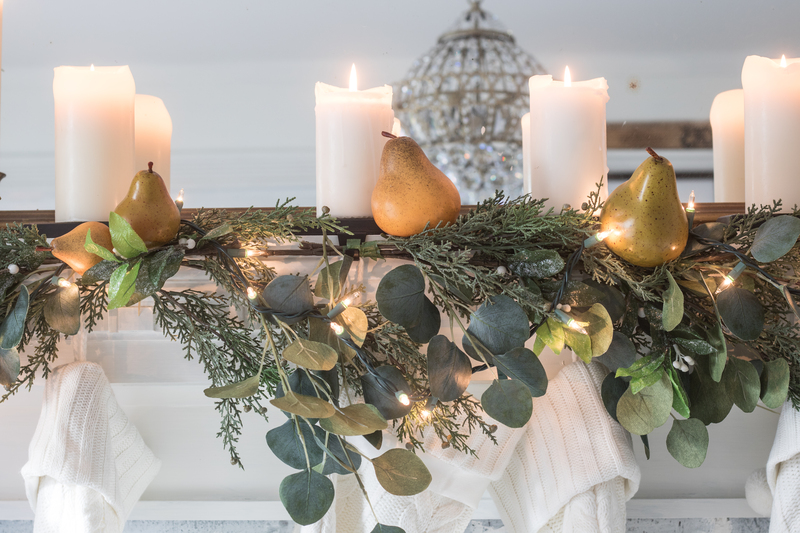 The garland I made myself and I love the eucalyptus and touch of pears for a natural feel. 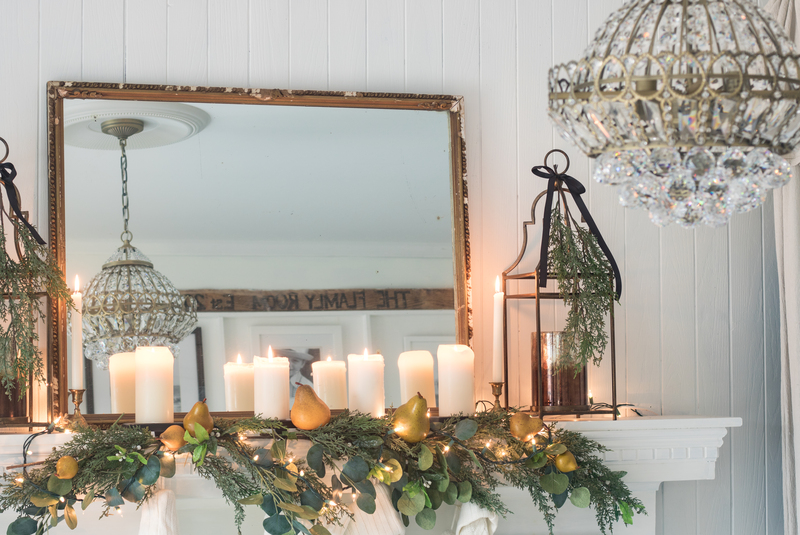 Of course this view is much prettier with the new chandelier which adds more of that vintage feel to this Neutral Vintage Christmas. 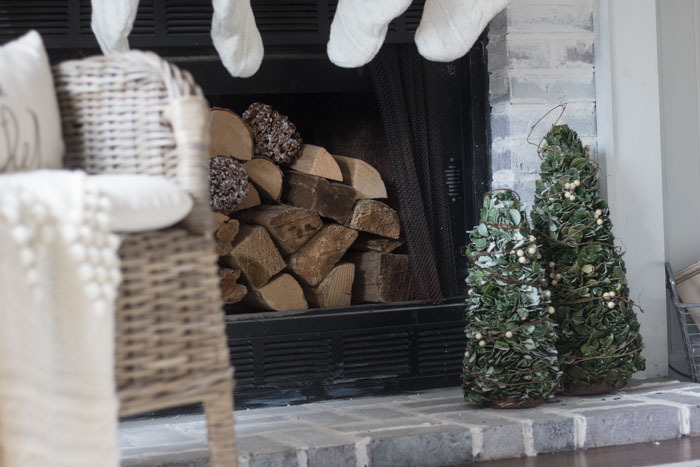 I just love how natural and pretty these Preserved boxwood Christmas trees are also a great find from Kirklands. I added this festive but subtle pillow with that metallic embroidery which helps to tie together with all the white and gold in the space. I hope you enjoyed this cozy and neutral living room space. 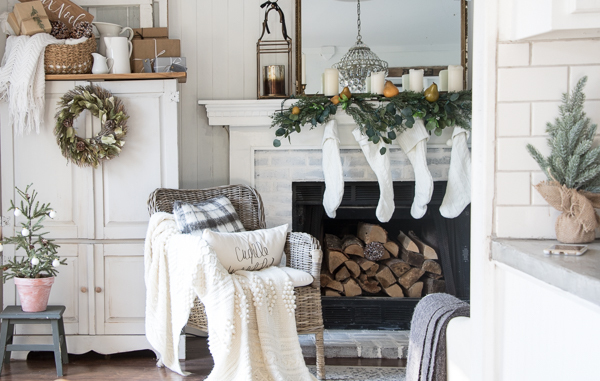 We can’t wait to light our first fire in here and cozy up for the Christmas season. 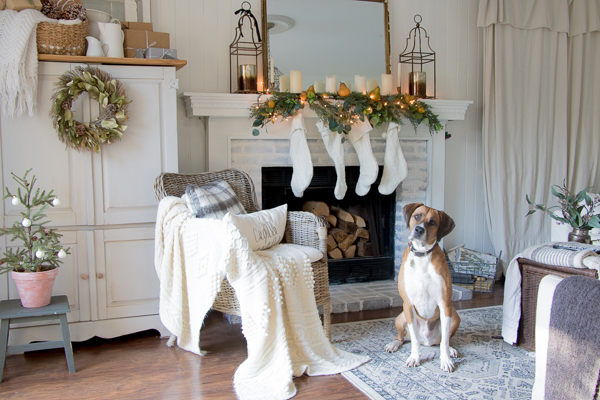 Be sure to enter the GIVEAWAY for a $500 Kirklands Gift card! Be sure to stop by all the other beautiful tours this week! It looks beautiful Deb, love it! Just gorgeous! 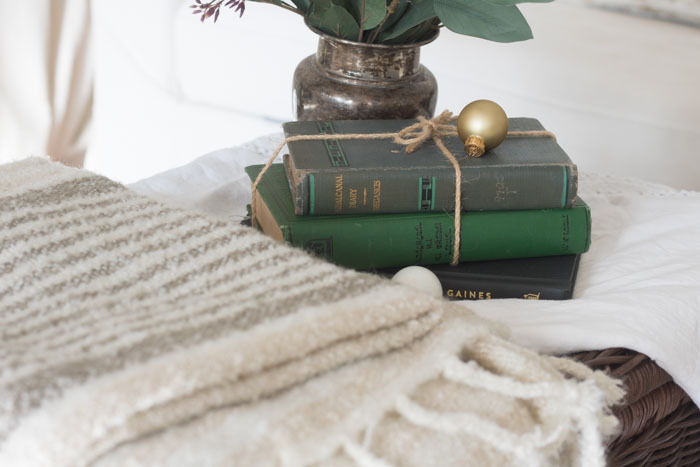 Love the neutral colors for colors Christmas! It looks so pretty Deb! Love it! 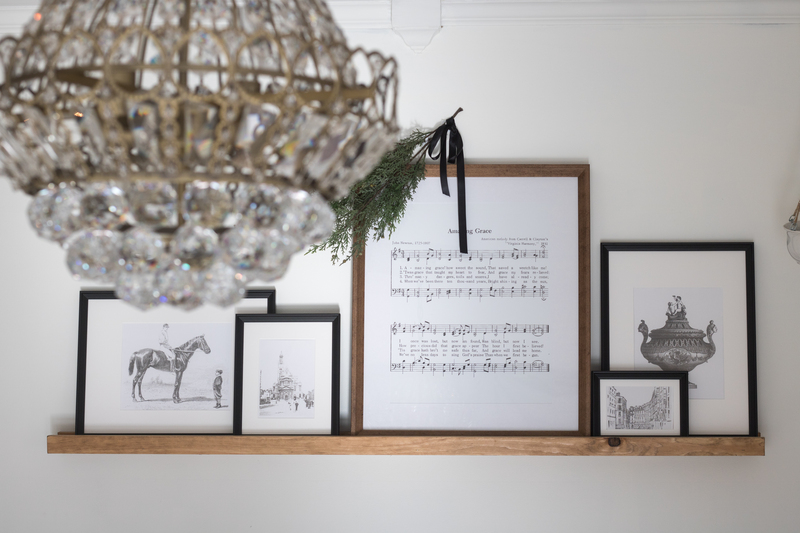 I really love the How Great Thou Art Lyrics Framed Art Print. It is stunning and would make a great impact on my holiday decor. thanks! I think this one is the Amazing Grace lyrics. I did receive the Great Thou Art as well but putting that in my living room for another post. Looks beautiful! I usually don’t shop at Kirkland’s, but I’ll definitely be making a trip to our local store after visiting their website and seeing your designs. I love all of their canvas prints! i am in love with the New Printed Cable Knit Queen 4 Piece Comforter Set! It looks so comfy and i love the look of it!! 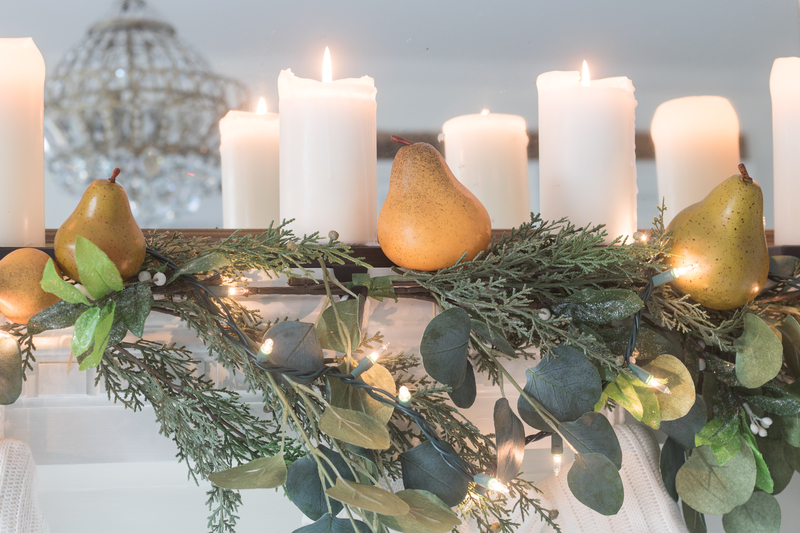 Your mantel is just beautiful, Deb! I love the music print and that chandelier is stunning! Always love Kirklands looking at their ornaments right now. 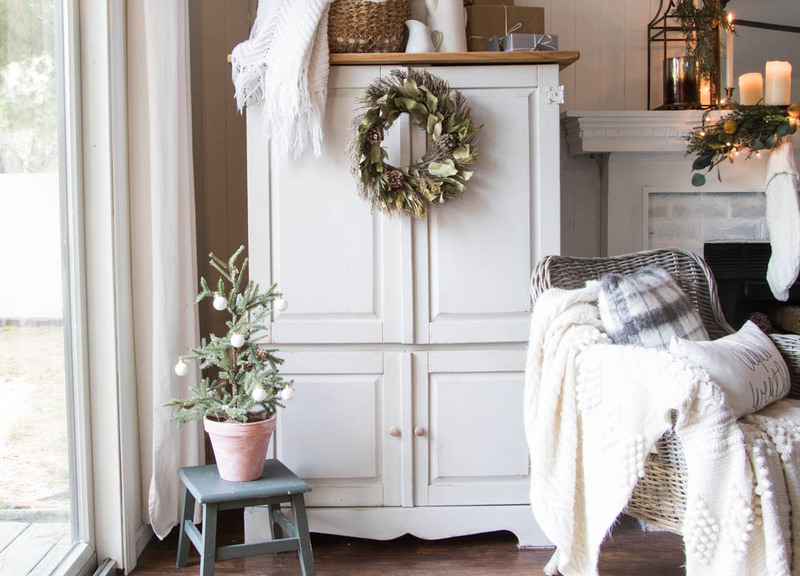 Looking over the Kirklands’ website I see so many pretty things for Christmas. If I won the giftcard I would get a new tree. I’d get the 7.5 Michigan Spruce version for my family room. oh yes, they have some great trees! Aww thank you so much Sharlette! 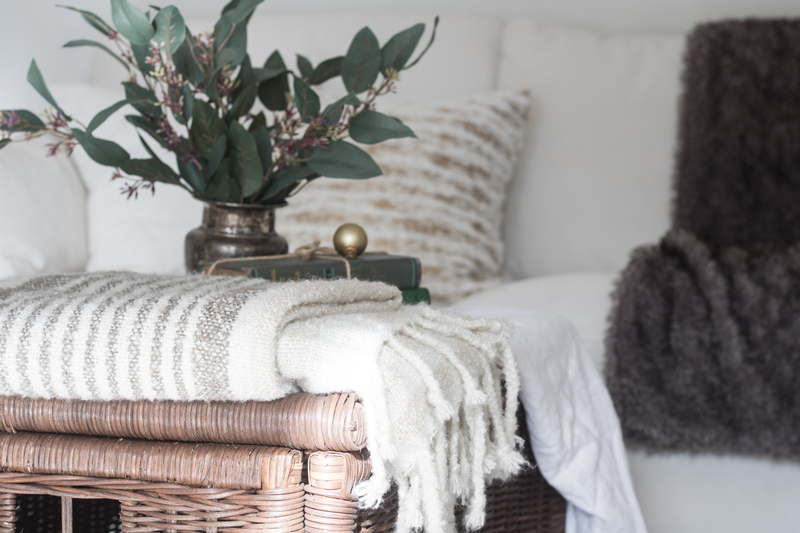 Such gorgeous pictures and I’m loving neutrals this year as well. 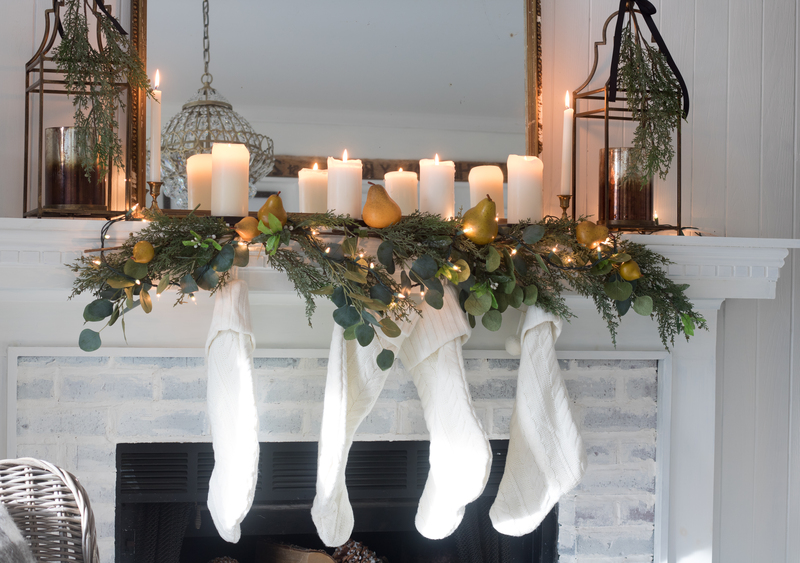 Your mantle looks just gorgeous and I love the beautiful cluster of candles! I have always love the Red Umbrella Couple Framed Canvas Art Print. I love the Black Marquee Jewelry Armoire Mirror. Hi Tracy thank you so much! Your doormat sounds adorable! Your home is just gorgeous! So many great things at Kirkland, too. I’m really digging the Retro Christmas tree truck doormat especially! thank you so much!!! That doormat is adorable! I love it!! That chandelier is gorgeous!! 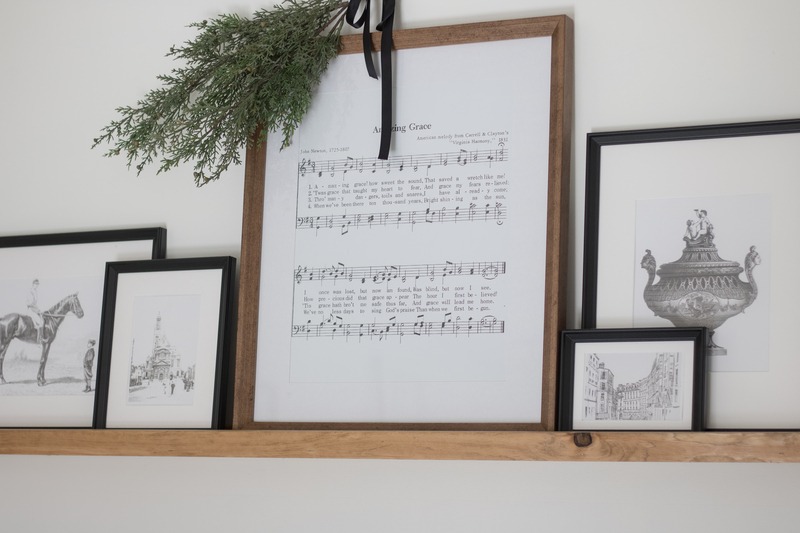 I also like how you used the boxwood trees and “amazing grace” print. Those lanterns are beautiful! Perfect for your neutral Christmas decorations. So pretty! Kirkland’s always has the best decor. Love it ALL! Everything is so well put together and perfectly homey. I could hang there all day and never get anything done. aww thank you Cindy that is so sweet of you! 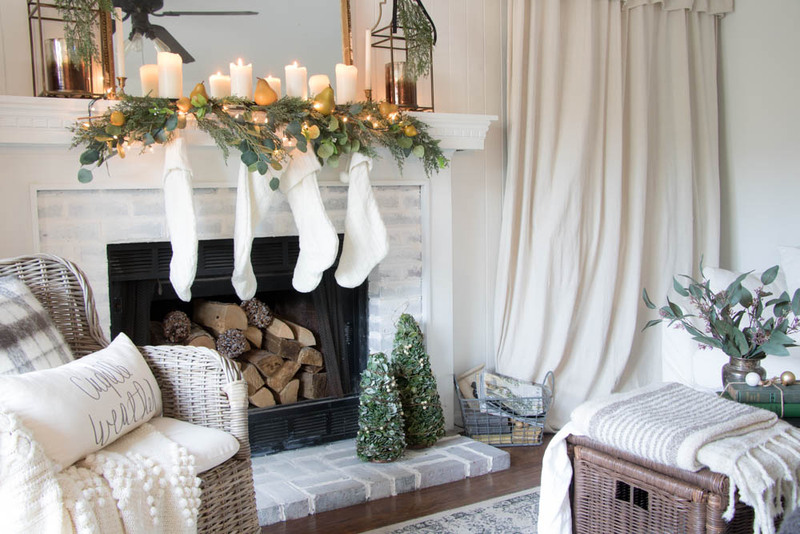 Beautiful neutral Christmas decor. I particularly love the lanterns. I would love you to share this on our Share Your Style link party. I am hosting this week and would be delighted to feature you. Thank you Lisa, will definitely stop by!